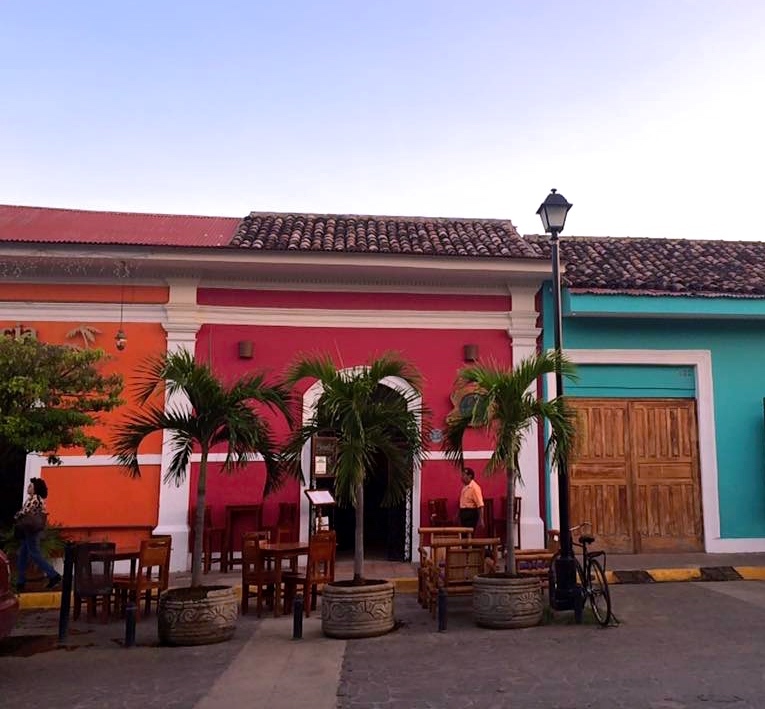 The Colourful City Of Granada, Nicaragua! 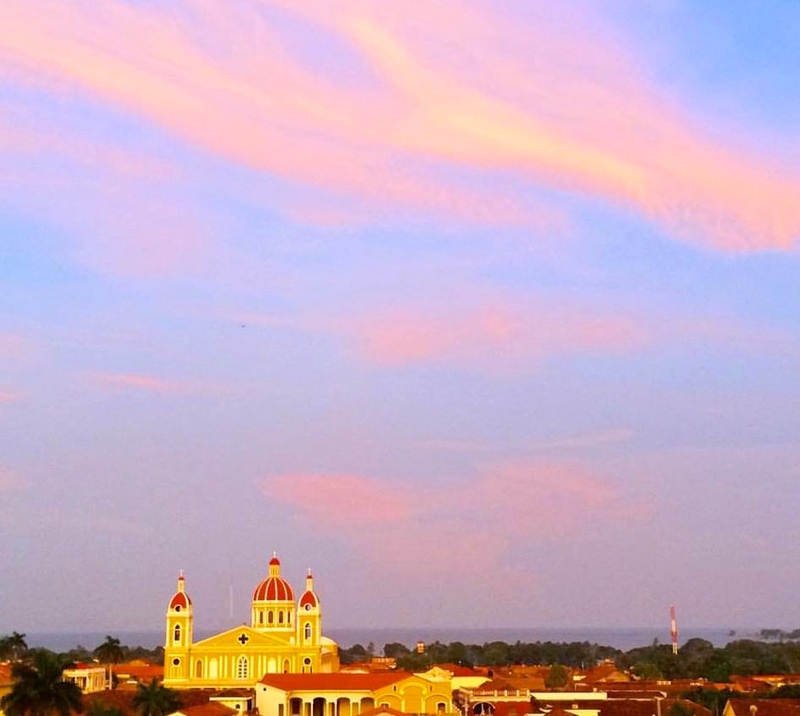 Granada is surely the most photogenic city in Nicaragua, maybe even Central America. With its colourful buildings, cathedrals galore, immense amounts of culture and beautiful scenery of lakes and volcanoes it’s hard not to find it a magical place. I spent almost a week in this beautiful (and extremely hot) city and loved every second. 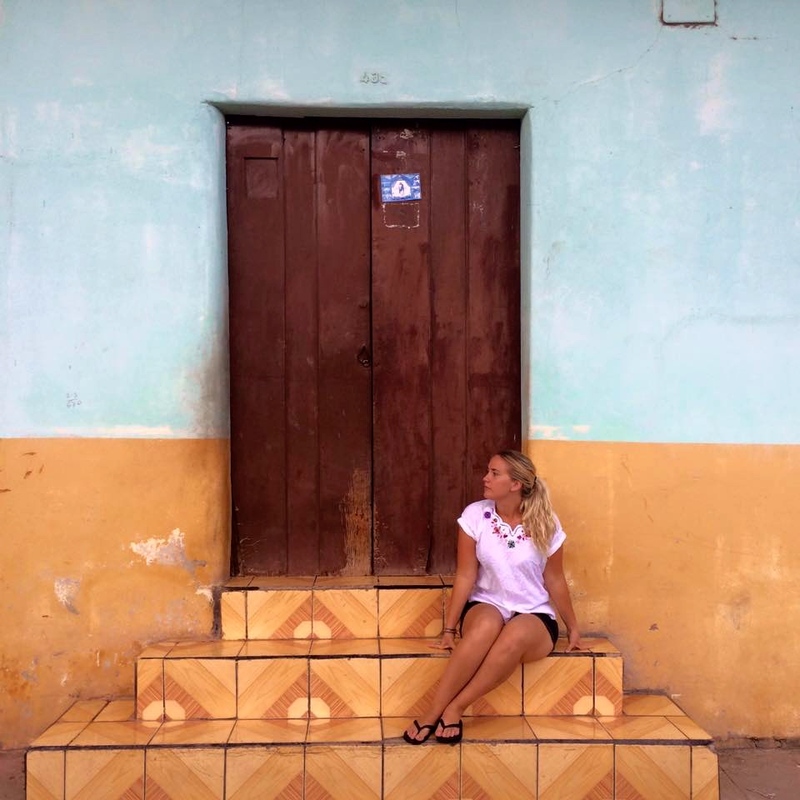 Here is everything I discovered about Granada, Nicaragua. We stayed at Hostal El Momento, as did everyone else I know who has visited Granada, and we loved it. The location is excellent, right next to the Central Park and a few minutes walk from the bus terminal. The staff were friendly, the beds were super comfortable (the bunk beds in the dorms are double beds on the bottom so if you score one of those it’s awesome. Just another one of those small things that really makes backpackers excited). They are also super clean and are really on top of the bed bug issue that plagues the rest of Central America. The only downside is breakfast was not included but groceries are pretty cheap in Nicaragua so it’s not a major problem. 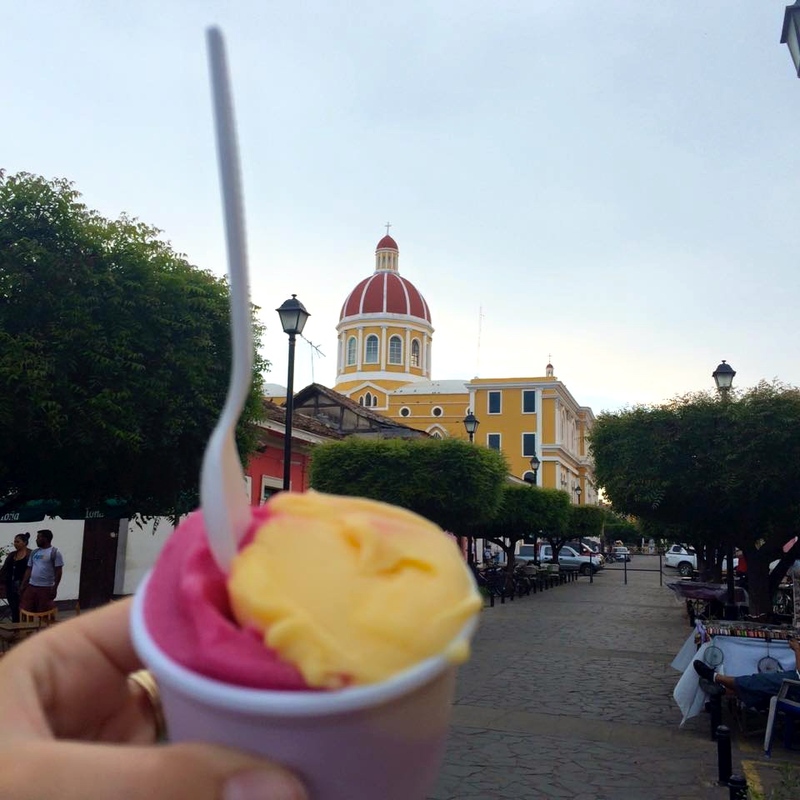 You can’t visit Granada and not try Vigarón. It is believed that this popular Nicaraguan dish was created in Granada in 1914. 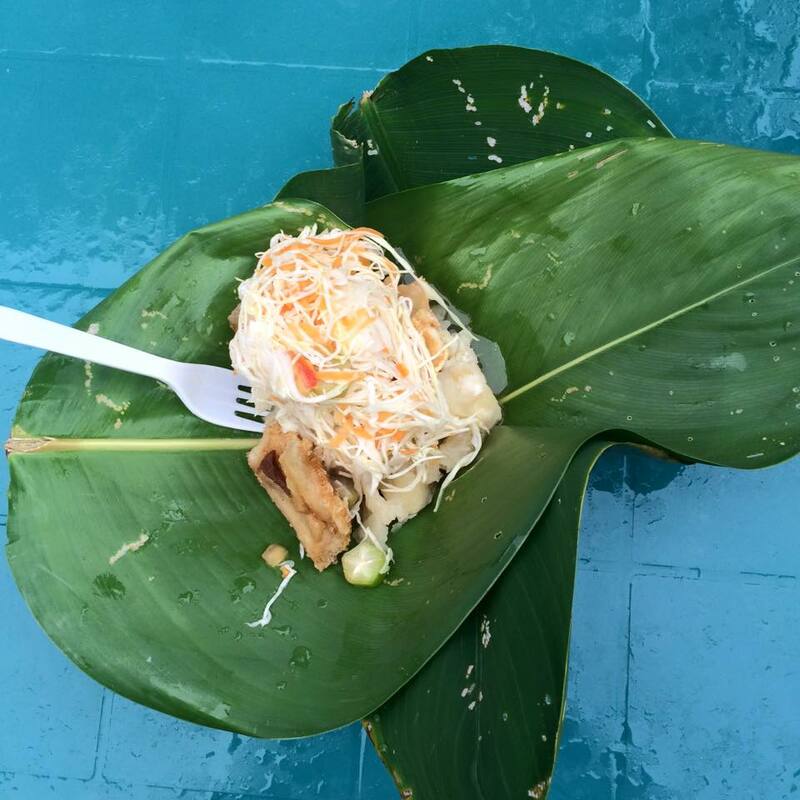 This dish consists of a cabbage salad marinated in Vinegar and Salt, Yuca Potato mash and Chicharrones (fried pork skin) all wrapped in Banana leaf. It is so delicious and refreshing. You can purchase this for around $1 in Parque Colon de Granada aka Central Park (this is also a great spot to do a little bit of shopping at the market stalls). I really loved this dish and had it quite often during my week in Granada. 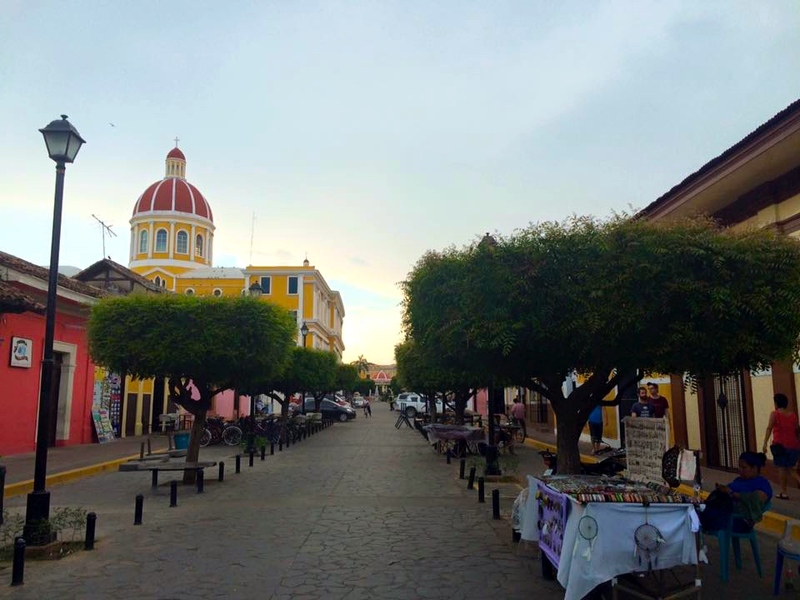 Here are my five top recommendations for things to do in Granada, Nicaragua. In the middle of the long Volcanic chain that runs through Nicaragua there is a wide crater in the form of an inverted cone. Inside this is Apoyo Lagoon, one of the most beautiful lagoons in Nicaragua. They say it also has the clearest water in all of Central America. It is thought that the crater of this sleeping Volcano was formed over 23,000 years ago and is extremely deep. This is a great spot to visit on one of Granadas extra hot days. It is not recommended to go here independently as it is very secluded and quiet and robberies etc are very common. We visited the lagoon through our hostel who organised, for a small fee, pick up and drop off as well as day use of a local hotel and it’s facilities. We spent the day Kayaking, lying around in Tubes and reading on the sun beds. I would have gotten very bored here by myself but it was a nice way to spend a day relaxing with my friends. This pedestrian only street in Granada is a must see. Visit in the day when it’s quieter for some picturesque photos. At night it comes alive with people and it is the place to go for a nice dinner or drinks with friends. The restaurants are a bit pricier in this street, however. 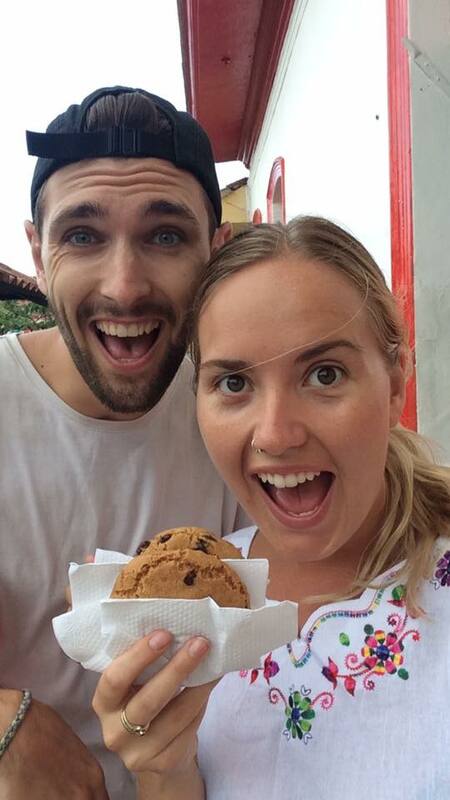 My favourite finds on Calle La Calzada was the delicious gelato at Super Frutto (also one in San Juan Del Sur but I liked this one better) and the perfect Chocolate Cookies at Pan De Vida were a treat (again also in San Juan del Sur)! 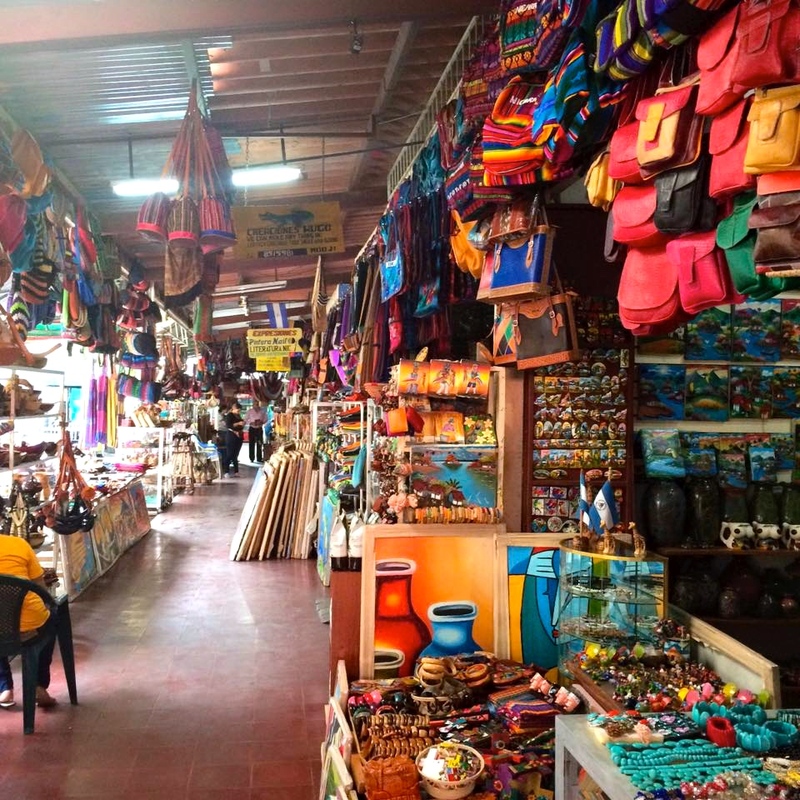 If you intend to do some shopping during your time in Nicaragua then Masaya Markets is the place to go. Nicaragua is the cheapest country in Central America so I suggest doing your shopping here. In my eyes the prices are still too high (but I’m hard to impress, I’ve seen far cheaper countries and markets around the world) but in comparison to prices in western countries it’s still great value. There are two markets in Masaya you should visit. The first is the most popular with tourists Mercado Viejo. This is the place to go for hammocks, handbags, blankets, clothes and any other artisanal purchases. During our visit we found that the shopkeepers would not budge on prices, no matter how hard we tried to barter. I’m still pining over a beautiful handbag that I just couldn’t get in my budget. The second markets in Masaya you need to visit is the Mercado Municipal. This is the local market where you will find all types of vegetables and food products. You’ll also find a few other random pieces scattered throughout the stalls. This is where the locals shop so it’s a great place to wander, people watch and observe the real daily culture of Nicaragua. To get there from Granada you’ll have to catch a chicken bus, which will cost less than $1, to the bus ‘terminal’ directly outside the Mercado Municipal. From there you can catch a taxi for roughly $1 per person (sometimes far less) to the Mercado Viejo. One of our highlights during our time in Granada was having breakfast at the Choco Museo. For less than $6 the Choco Museo had a buffet breakfast from 8am to 1pm. We spent the whole morning stuffing our faces with pancakes, omelette, waffles, banana bread, fruit, potatoes and fried plantain. When you are backpacking for so long the small things can really exite you and this was one of them. If you wander past the day before they tend to hand out 10% off vouchers, which will cover the tax cost. Yum! They also do chocolate cooking classes, which I did not do but have read great reviews of online. Granada is also extremely hot so for a few dollars it would be worth spending the day at the pool here also. Iglesia San Francisco, the oldest church in all of Central America. Originally constructed in 1585 it was subsequently burnt to the ground by pirates. Re-built in 1868 and restored in 1989 it now boasts a museum. 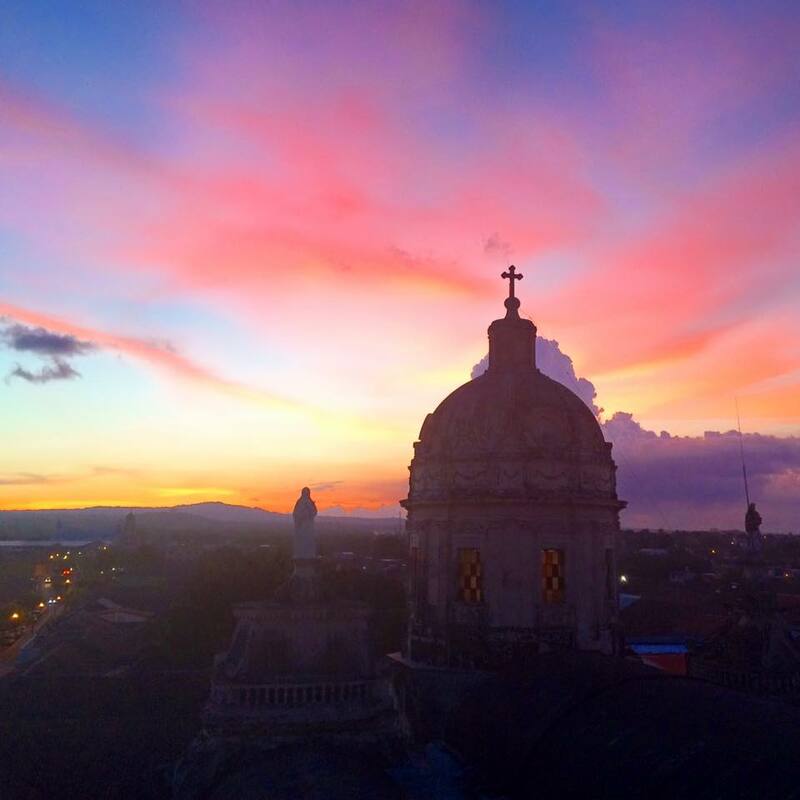 Catedral De Granada, is one of the most beautiful Cathedrals in all of Central America. With its striking yellow colour it’s the most photographed building in all of Granada. It’s perfectly positioned by Central Park and Calle La Cazalda. Iglesia De La Merced, was one of my highlights during our time in Granada. Visit just before sunset and pay the $1 to climb the set of stairs to the top for an incredible view over Granada. I truly loved Granada, it’s a fabulous little city with so much to see and do. These were my highlights but as always I can only see and do so much so if you have recommendations I didn’t mention above please leave them in the comments below! Did you find this article helpful? Then give me some love and share this with your travel loving friends! 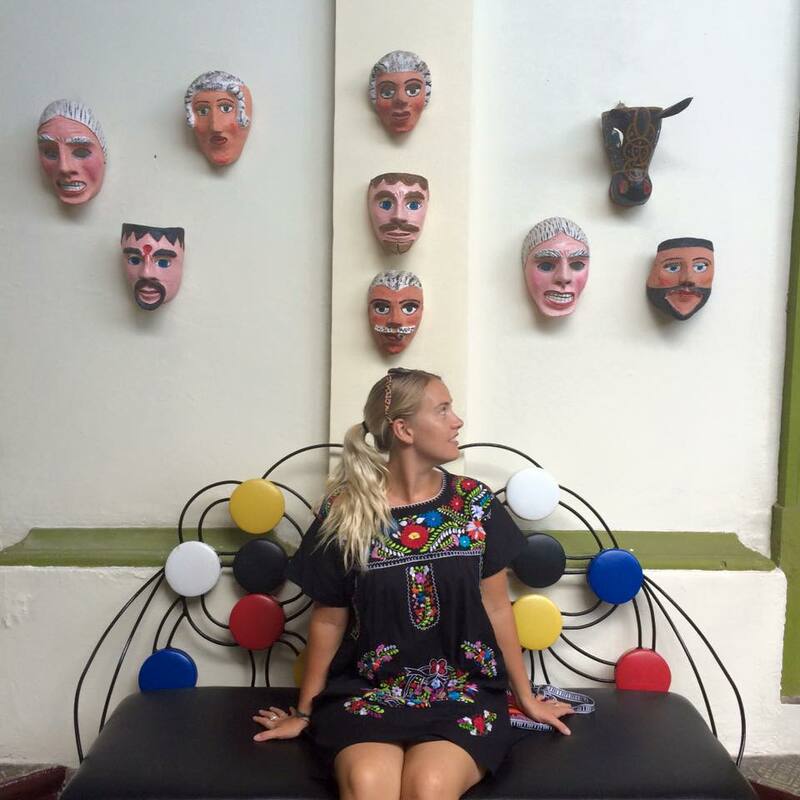 How To Spend A Few Days In Bocas Del Toro, Panama! Is theRe marihuana in Nicaragua? What are the laws for it and also how much money do you think for two weeks in Grenada and la lagoona with breakfast included but not dinner and lunch for two people? Thanks for this helpful article! 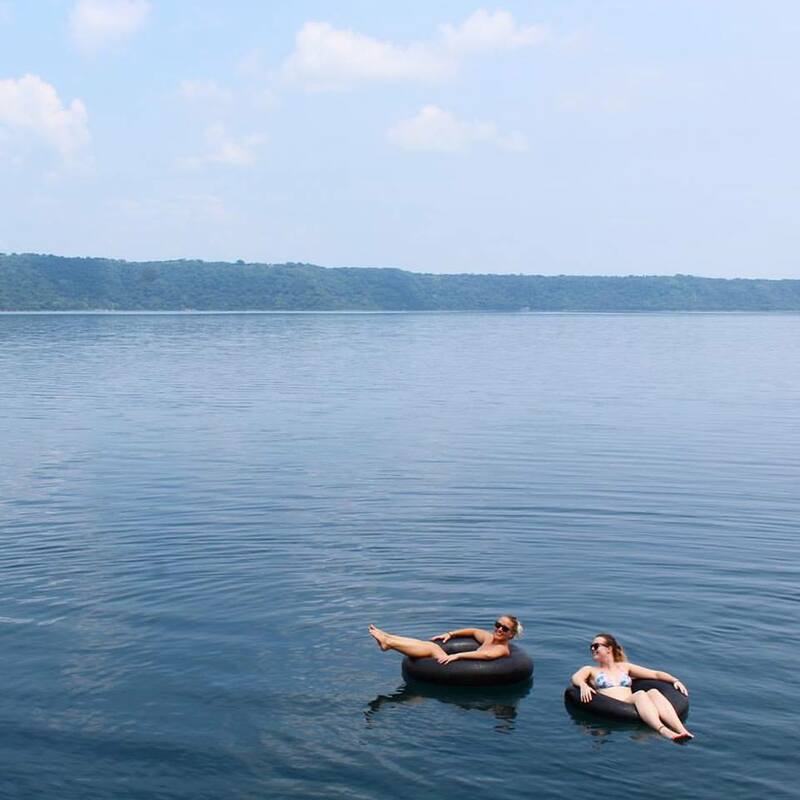 I am headed to Nicaragua for the first time next month and this post sure helped with what to do and see in Granada. I’ll be adding it to the Nicaragua page in my travel digital library on my blog (GlobalETA). I only wish I could’ve gone to Nicaragua during turtle nesting season! Thanks again! Hi Karla, I’m so glad you found this post helpful, you are going to love Nicaragua it’s an amazing country. Thanks fort sharing it in your library!